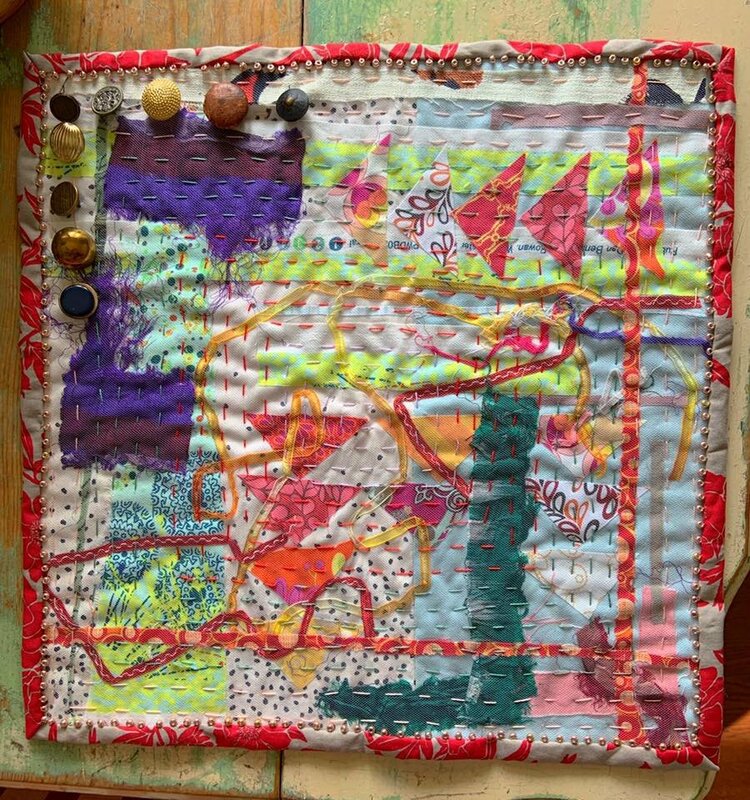 Come learn how to make one of these fun little scrappy art quilts along with the some fun Japanese Style Boro Stitching as well as some interesting binding techniques. Class fee is $40. Includes all supplies.